Women’s basketball saw themselves down big early, but managed to rally and defeat Cal Baptist 73-67. CSUN scored 29 points in the fourth quarter, more points than they had in the entire first half. 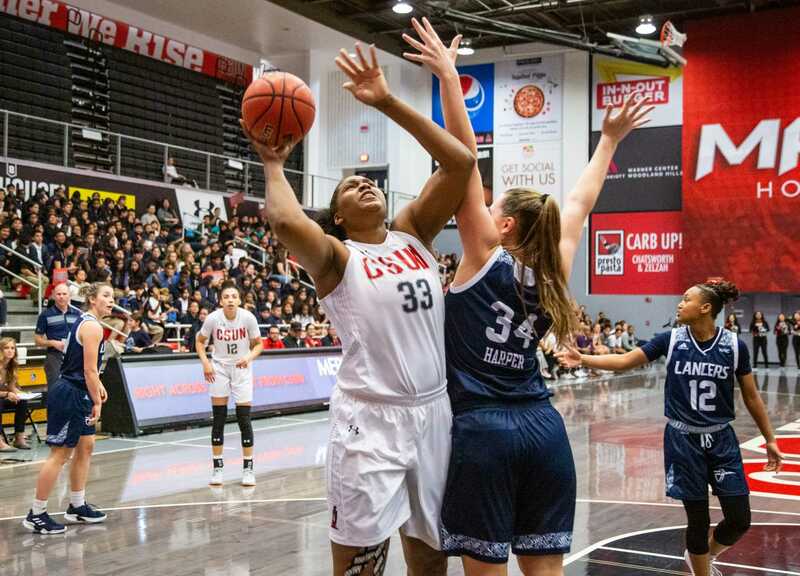 The Lancers’ solid defense did not give up many easy looks and CSUN struggled offensively to find looks early in the game. Cal Baptist would start the second half on an 6-0 run before CSUN could score in a point. 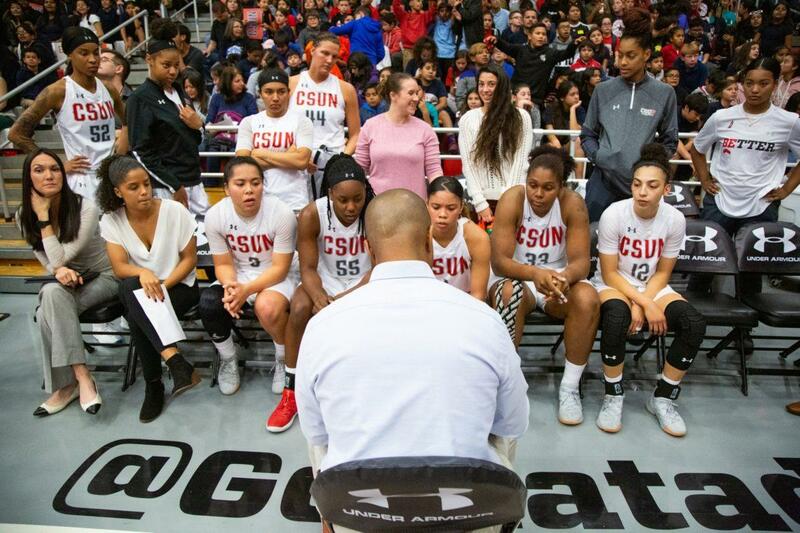 They eventually built an 11-point lead in the fourth quarter, their largest of the game before CSUN surged. The Lancers were led by sharp shooter Emma Meriggioli, who scored 24 points, all from behind the arc. She would only miss her final attempt, going eight of nine on the game. Facing a 59-51 deficit in the fourth, Northridge caught fire and went on a 13-0 run. The run was led by senior guard Serafina Maulupe, who scored 14 of her 16 points in the second half, including two big 3-pointers which gave the Matadors the lead. Senior center Channon Fluker led the team for the second straight game. Fluker played only 23 minutes but scored 18 points. She also managed to pull down 17 rebounds, matching her season-high, including seven offensive boards, while recording a season-high six blocks as well. 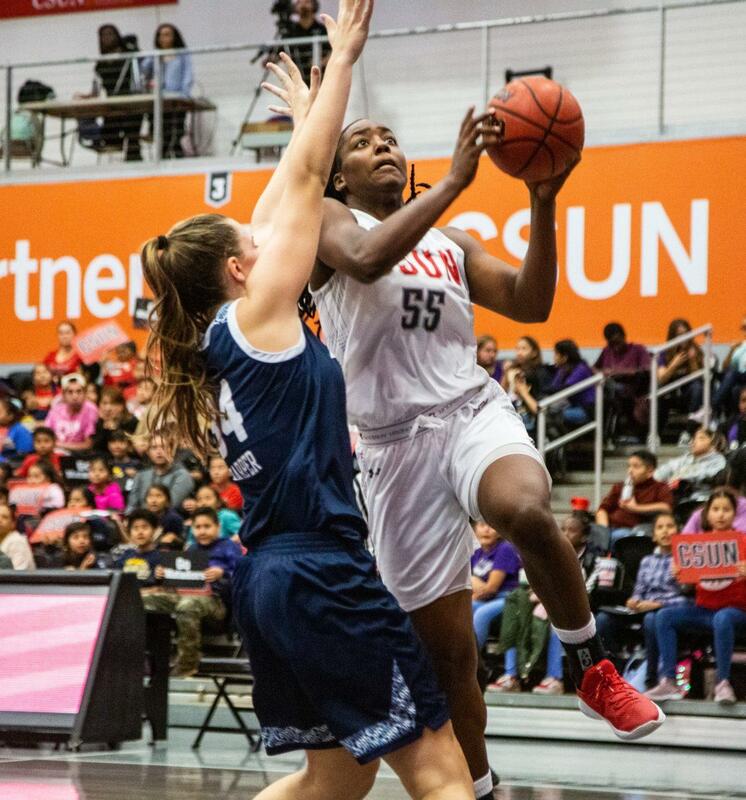 Maulupe was matched in points by CSUN forward De’Jionae Calloway who registered her first double-double of the year, grabbing 13 rebounds to go along with her 16 points. Calloway was second in minutes to only guard Meghann Henderson, who ran the floor most of the game. The sophomore registered a team-high six assists to go with a block and a steal. Wednesday’s win marked the first game the Matadors had three scorers above 15 points. With Calloway, Fluker and Maulupe all in sync, the team’s scoring average can make a very strong leap from their 65.1 average. CSUN will now head out on a tough road trip. Their first stop is a matchup with the 5-1 Santa Clara Broncos before the team heads to Berkeley to face an undefeated California team. Both of CSUN’s opponents have not played since Saturday Nov. 24 so CSUN may catch a break with some rusty opponents. The team will need its key three players to show up to steal these tough rough games. Matadors and Broncos tip off Friday, Nov. 30 at 4 p.m. CSUN and the Bears will tip off Sunday, Dec. 2 at 2 p.m.